In recent years, in addition of popular portable devices and wearable devices, another new trend gradually emerges – smart home, from the original condition of thunder, little rain, and instead began to catch everyone’s attention. 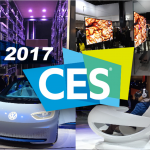 At this year’s Consumer Electronics Show (CES), many technologies companies join the event; where it shows how the digital audio and video content to import and integration used in real life. It is worth noting that hardware brand manufacturers began to focus on the integrity of content services, expected in the hardware and software integration, industry ecosystem will be more robust, the combined effect will promote to the synergistic effect. According to market research firm IDC, Smart Home market is estimated from 2013 to 2020, the annual compound growth rate will reach 17.74%. It is expected to reach$ 51.77 billion market size in 2020. After the end of CES, smart home devices are expected to be in a wave of significant market growth in 2014, including telecommunications and cable industry for broad gauge attitudes which smart home applications are also expected to become more active. 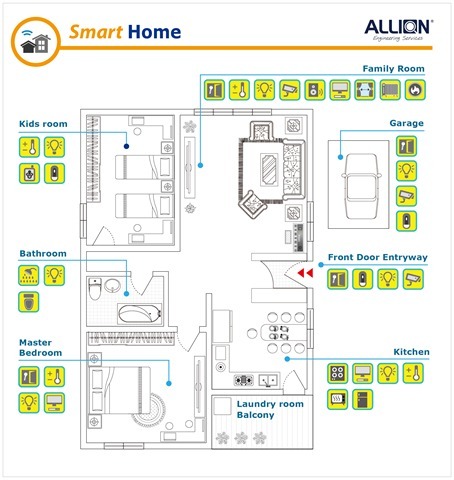 Allion, as a professional testing laboratory, but also cooperates with many related vendors through smart home market, hopefully through this article, can easily introduce the existing state of technology, the product developing focus for manufacturers and the attention of market trends and future needs. 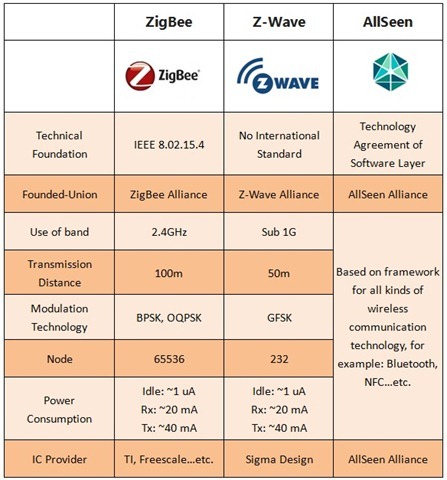 As shown in Chart I, Z-wave and ZigBee are technologies based on radio frequency, which are technical agreements of hardware framework. Z-wave is a technique independently developed by Sigma Design, but the lack of international standards. Its only supports home automation application, unlike ZigBee can simultaneously apply to a variety of fields of medical, security and so on. ZigBee is built on IEEE 802.15.4 protocol and its application is wider. 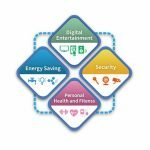 Although both technologies are based on Wireless Sensor Networks (WSN) as a precondition, Z-wave focuses more on smart home applications; ZigBee, on the other hand, develops many protocols and not only provides smart home use, but also supports the use of smart grid and smart building. 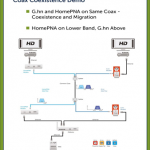 Although both ZigBee and Z-Wave adopt similar wireless network technology streaming, hundreds of products also support the use of these two technologies, however at this stage of hydra-headed phenomenon yet none of any technologies dominates the market. AllSeen Alliance, founded by LG, Qualcomm, and Sharp, adopts the basis of open-source platform “AllJoyn”, developed by Qualcomm to build AllSeen technology, which is a simple protocol specification, not belonging to hardware design. The initial concept is based on TCP / IP network protocol to establish a concept similar to UPnP, DLNA in order to control hardware facilities through AllSeen agreement with the connection ofWi-Fi or Ethernet accomplishing the smart home concept in our daily lives. Qualcomm, as a gigantic chip maker, is also releasing the software development kit (SDK) for ODM and OEM companies who are in AllSeen, hoping to attract more manufacturers to join in. 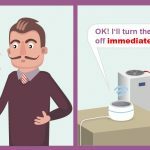 It is because some people think the smart home will directly use in existent techniques, for example: WI-FI or Bluetooth techniques, therefore, others regard AllSeen as Z-Wave’s and ZigBee’s competitor. Broadcom and Qualcomm are committed to the development of low-power consumption, highly-integrated chip. It is predictable that the market competition would be fierce. However, the basic power consumption of Z-wave and ZigBee is much lower than Wi-Fi and Bluetooth, which possess certain advantages in the field of smart home application. . In terms of hardware and software integration of practical application, the previous control interface of smart home is often to be a remote control or PC software; therefore, the overall user interface is not very friendly. Taking the possibility of a large-screen TV with remote control and networking capabilities into consideration, the current trend is to integrate the smart TV (set top box) with a handheld device. There are also a lot of products that claim as Smart Hub can support different connecting technologies, such as Z-wave, ZigBee, Wi-Fi and so on. Users do not need to worry about the compatibility issues. 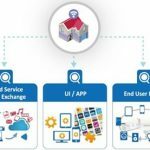 Simply through the Smart Hub with the corresponding APPs, it is possible to integrate most products in the marketplace to put your smart home dream into practice. Imagine this: Under the smart home construction, while stopping the car at the front house door, it will automatically sense the home owner and the cloud software can start the air-conditioning, lights, and curtains and turn on the TV to preset channels, without the need of you starting one by one after entering the house. Through hardware monitor, it can instantly detect outdoor. When someone tries to invade from the front door, the hardware will send warning to the cloud, and then send a message to your phone, so that you can judge whether to call the police or to connect to the monitor screen to confirm the situation. If your kids get up at night and secretly turn on the TV, the TV you’re watching at the moment will tell you that the kids room’s TV had been turned on. You can walk into the room and turn off the TV, or directly turn off the TV with remote through management interface, and change the color of lights, warning them that you’d caught their attention. From the application as mentioned above (as in Picture 2), you can see that smart home can help users to improve the safety and environmental quality of living comfort, especially for elders and kids at home, allowing them to receive more attentive care. Smart home concept has long existed for a long time, however, the market has still not yet to take off. Allion has three root causes out of observation: 1) Amazing and useful application has not yet appeared to attract consumers; 2) Smart sensors, low-power consumption wireless controllers and other semiconductor products have high cost, thereby affecting consumer willingness to adopt; 3) Specification for interconnection standards in the field of smart home yet still need to be unified, which still remains to the industry standard setters developers and, semiconductor manufactures to cooperate. Unlike the pairing between smart phone and watch which is relatively simple, the environment of smart home is filled with different brands of home appliances, and therefore the certification test would be more complex than ever. The appliances should be “stable,” compared with the information technology products. The standard should not be changed because of its cleverness, and networking capabilities, therefore, the certification testing would focus on product compatibility and stability test. Besides, the phones, microwaves, Wi-Fi, Bluetooth, etc. would cause interference with each other in the environment. In order to ensure the performance is not affected, "RF Signal Integrity & Interference Test" is one of the most important test items that Allion’s professional multidisciplinary regards as. The high frequencies generated by the electronics, for example mobile phones, microwave ovens, and others would impact on each other. With our professional team dedicated in Telecom, EMI, EMS, RF communication validation methodology, we will definitely bring you the highest quality assurance. In order to achieve practical remote control, users are necessary to control smart home products via smart phones or tablets. Therefore, the system stability, security, and compatibility are particularly important. Different operating systems such as: iOS, Android, Windows have a different version so it should be treated carefully. The combination of products with different interfaces is getting more prevailing. So we design the combination of brand, device type, popularity rating and market share to simulate actual users’ condition for interoperability test to ensure your product’s quality. The Professional UX Research Group , dedicated to the user scenario simulation is able simulate conditions in general family by setting up TVs, refrigerators, air conditionings, stereos, concrete walls and other environment. To validate products in actual environment is to review them from real user’s point of view. A business analysis/marketing report would be generated afterwards, which is logical and referable for developers. In the past only consumers at the top of the pyramid could afford Smart Home. 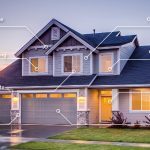 But since the technologies is becoming well-developed, related spec alliances are working closer or even united together and the appearance of high-performance and low-power consumption wireless controller products, it is predictable that there would be more end-users to adopt Smart Home applications and systems. The breadth of product combination would increase the depth of certification. Allion is optimistic about the development of this market, and believe that only meticulous certification testing program would ensure that the advantages of vendors’ products would be fully presented and thus increase the market competitive advantages.